Publisher / Place of Publication: Geography Publications / 24 Kennington Road, Templeogue, Dublin 6W. About: This essay is an introduction to the life and works of the English-born architect, Thomas Cobden. 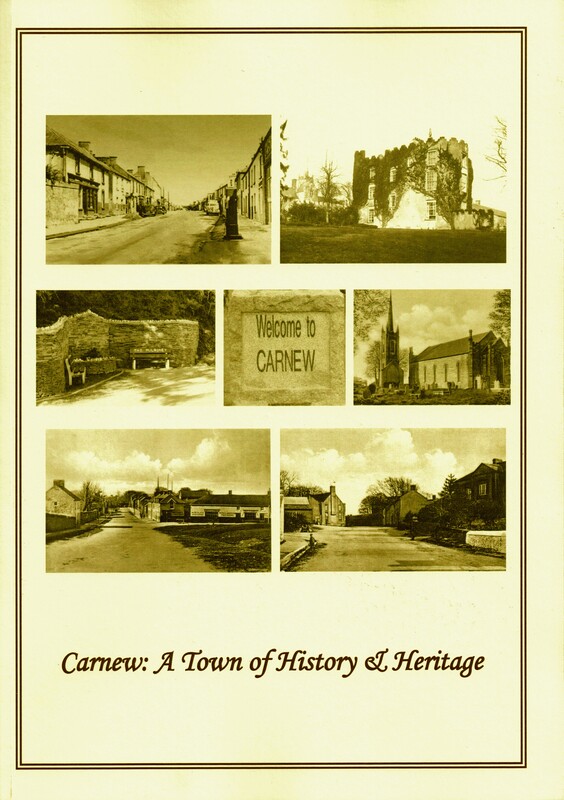 Although not that well known to a wider audience, the author argues that the range and breath of his work in Carlow and its vicinity deserves more recognition. 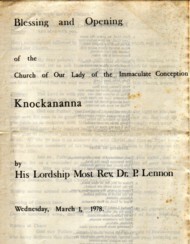 Contents Cobden’s life – Cobden’s works – Church buildings – Carlow Presbyterian Chapel – Killeshin Chapel – Carlow Cathedral – Presentation Convent Chapel – St. Mary’s Church, Carlow — Tullow Churches – St. Andrew’s Church, Bagenalstown — Borris Schoolhouse – Staplestown Church – Carlow Graig Chapel – Hacketstown Chapel – Down Cathedral – Carlow College – Other work – Exhibits at the R.A. and R.H.A. 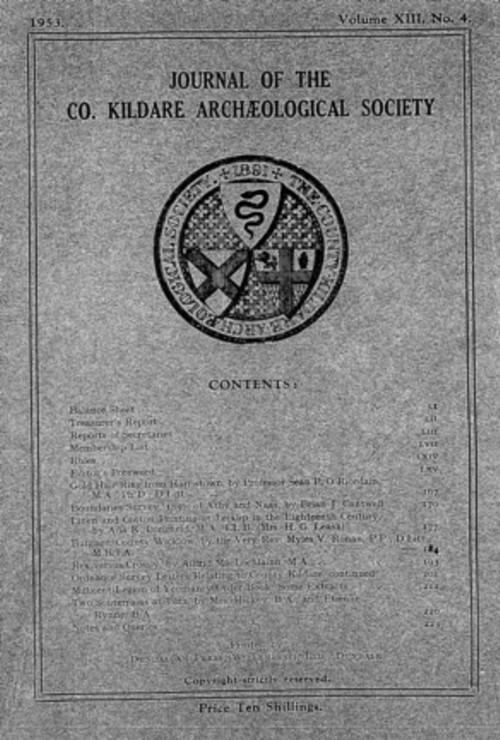 – Conclusion – Thomas Alfred Cobden: a chronological table – Acknowledgements – References. 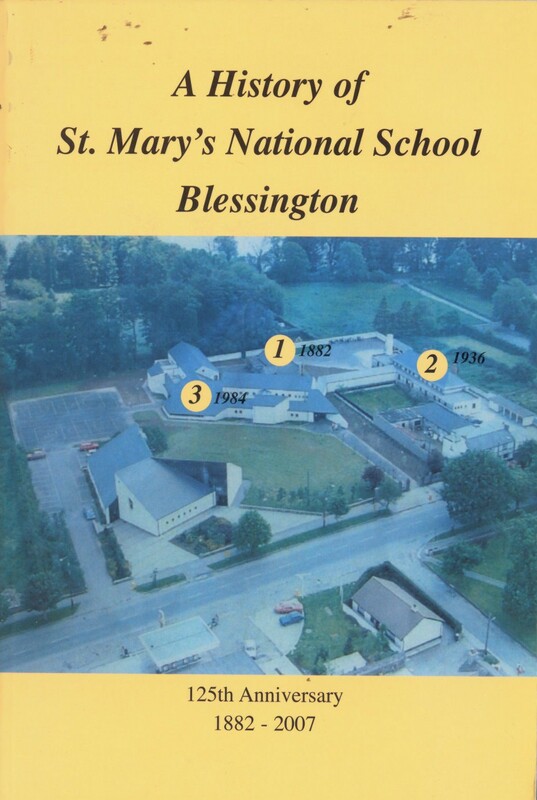 WW Connection #1: The author, a Catholic priest, was a native of Baltinglass. Extra #1: Includes several photographs. About: This is a glossy A4 brochure which folds out to the equivalent of six A4-size pages. It is Number 54 in the Archaeology Ireland Heritage Guide Series. It is a profusely illustrated introduction to the remains of a twelfth-century church which the author indicates must have been “one of the largest rural parish churches of its day”. The site of the church was associated with St. Finnian, who flourished in the sixth-century. Extra #1: includes several colour photographs, plus a plan, plus a map. 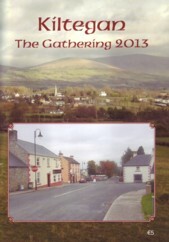 Extra #5: View the entry for ‘Aghowle’ in the Placenames Database of Ireland.